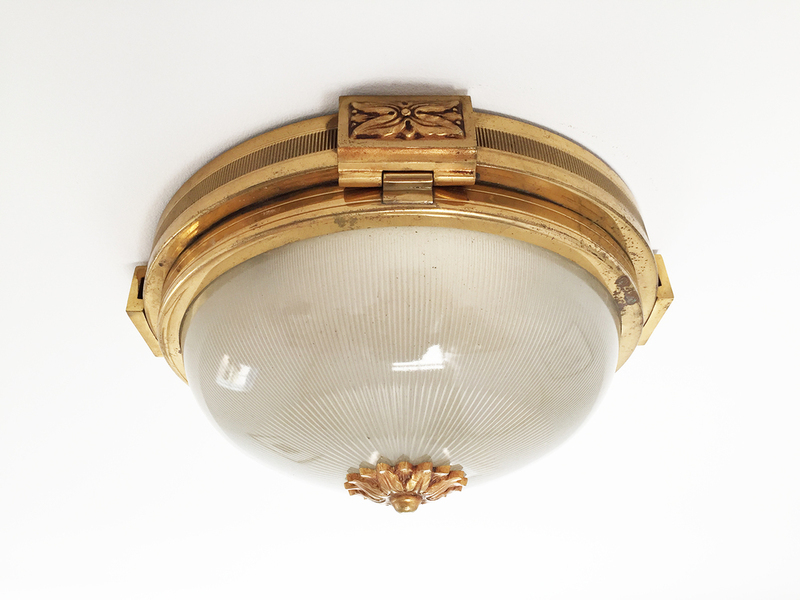 French brass and glass flush-mount ceiling light fixture most likely from the 1930's or 1940's. An exquisite and unique fixture. Measures 14" in Diameter and 5" tall. Vintage Furniture, Lighting, Accessories, Artwork and Design for your Home. We specialize in Mid Century Modern Furniture (Chrome, Brass, Lucite), European Lighting, and Chic smalls.